•For shared charters (i.e. Snapper, Kingfish, and Big Game Charters), payment for each person must be made in full, in advance. 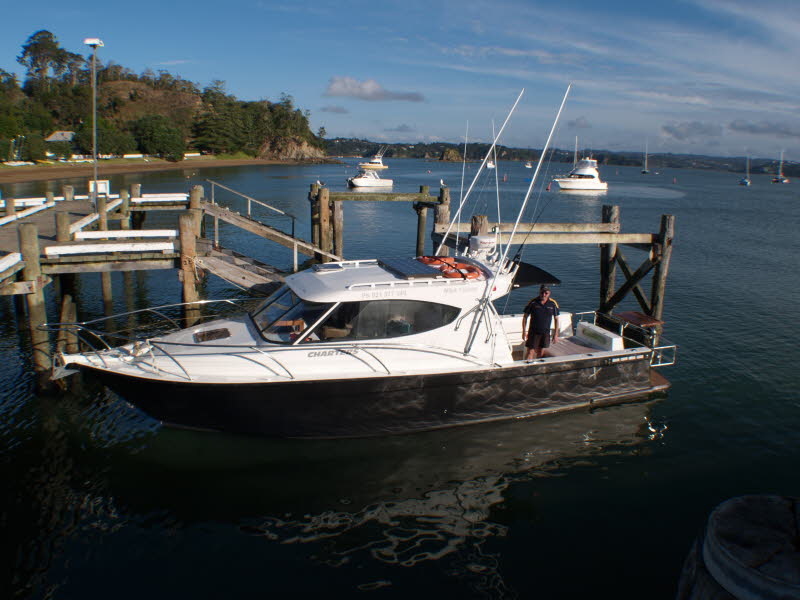 •For all Fishing Charters, a non-returnable 25% deposit is required in advance. Please contact us directly to book your Full Day Charter. •Refunds will be offered in the unlikely event of a cancellation due to unsafe weather conditions or boat malfunction. Full refunds will be processed as soon as possible, for a no show refunds will not be available, please allow up to 45 days. •We will contact you via TXT, a phone call or email if we need to cancel a booking, we expect issues like weather or a boat problem being the main reasons for a cancellation, please make sure you supply contact details with your booking request. •Sudden changes in conditions may force us to cancel before the trip, or even durring the charter. If we have to shorten your trip due to bad weather or boat malfunctions, we will refund a proportion of the cost of the trip, based on the remaining trip time. We have no issue with alcohol consumption, smoking on board should be outside only please be aware of the other people on the boat before lighting up. The captain will monitor the situation regarding the consumption of alcohol, safety is an important issue, we reserve the right to terminate the trip with no refund due - or to safely remove any affecting passengers wherever we see suitable! When you come on a charter with us, the catch will be shared amongst all of the customers on the boat. We will assist with sharing the fish. Fresh fish is best, we will have ice available to keep your fish in the best condition possible, we encourage sustainable and responsible fishing, and encourage catch and release' as much as possible on our charters. •We generally throw back big fish, these are the breeding stock. •We have catch and release policy on all shared kingfish charters. •We only keep fish that are 15% over the minimum size guidelines NZ govt. regulations. •5 fish limit per person. •Only one fish over 10lb per person. •Minimum fish size 33cm, as opposed to NZ Govt. regulation 30cm. •Two fish limit per trip for full charters. •Minimum size 80cm, as opposed to NZ Govt. regulation 75cm. •One fish of either species limit per person. •3 fish limit per person. 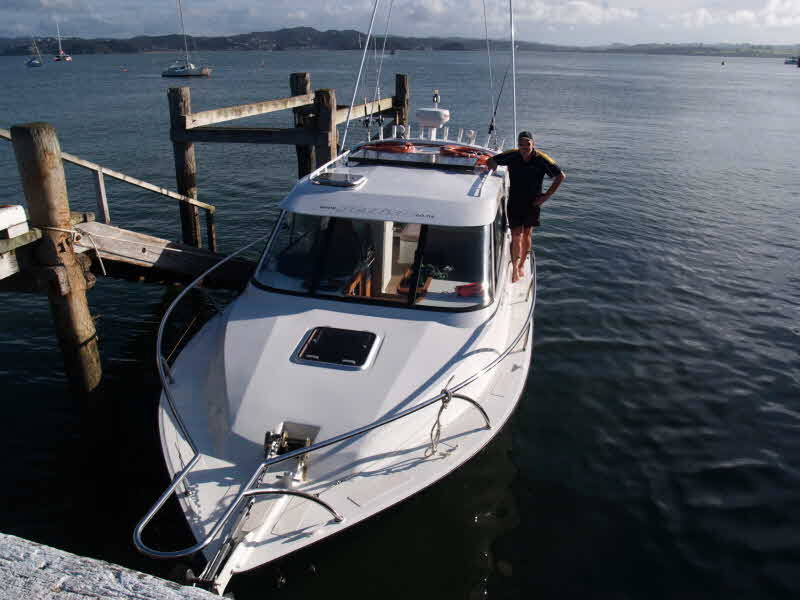 •You must pay for any damage you cause to the boat or its fittings, or any rods and reels that you damage or lose overboard, even if accidentally. •You are not liable for any normal wear and tear or gear failures, such as reels jamming or rods breaking when the rod to line angle is greater than 90 degrees. Rods do occasionally break when used improperly, and we can advise you on this if you are unsure, so please just ask. •You must pay extra for any soft baits or jigs you use. •You must follow the skippers instructions at all times while onboard. Our primary concern is for your safety, and you must comply with any instructions from the skipper immediately and without argument. This includes donning lifejackets when asked to due to unsafe weather conditions. (b) any direct, indirect, consequential, financial or economic loss or damage to property. •On booking with Get Reel the Customer shall be deemed to have read, understood and accepted these terms, conditions and policies.